Jojoba oil (simmondsia chinensis) Excellent moisturizing and emulsifying properties. Jojoba is rich in Vitamin E, contains proteins and minerals, as well as myristic acid, which calms the skin. 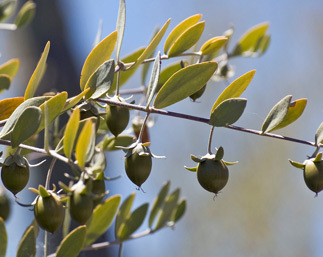 jojoba is escellent at soothing dry, itchy skin and is excellent as a protectant in weather conditions. Our jojoba oil is certified organic.